Hail or wind damage? Give us a call! We can work directly with your insurance company so you don’t have to. We will do a free inspection so you don’t turn in a claim if there is no damage. We have been in business serving southeast Nebraska since 1996. 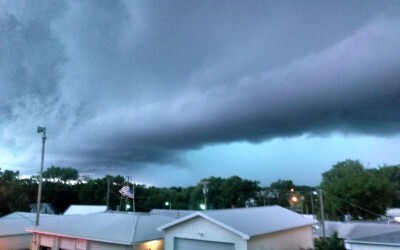 Roofs take a pounding in this part of the country. It’s important to make sure your roof is in good condition to prevent more damage and costly repairs later. From asphalt shingles to metal, we know what goes into a quality roof that will protect your home for years. Quality siding can improve the look and value of your home. 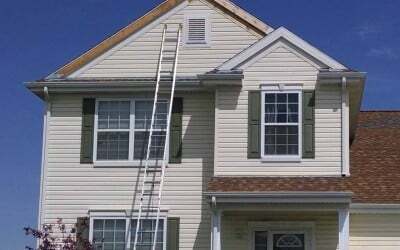 We specialize in installing and repairing siding that will endure the harsh elements of Nebraska weather. Proper gutters protect your foundation by channeling water away from your home. If damaged, clogged, or not installed properly, erosion and leaks can occur. Let us help you evaluate your needs and find a gutter solution. Minimize your heating and cooling cost with the right windows and proper installation. We will help you navigate the wide array of options in energy efficiency to select windows that will improve and beautify your home. One of our specialties and passions is preserving Nebraska’s barns. It can be difficult to find a contractor who has the know-how and will do the work of repairing and restoring such a large structure. We have worked on several barns in the area and will be happy to help you. There are so many aspects to home repair and improvement, we can’t list them all, but we still do the work! See our Services page for more, but don’t be afraid to ask. Let us know your needs! Laramie Construction is a licensed and insured Nebraska Remodeling Company. Our commitment to enhancing homes through functional design, fine craftsmanship and added value are your peace of mind. Dreaming… of working with an experienced, qualified contractor that handles every part of your remodeling project from the idea phase through final completion? Dreaming… of a contractor who is so respectful to you and your home, focused on your remodel project, and aware of all the details of your project. With Laramie Construction Dreams Become Reality!